IWM will retell the extraordinary land, air and sea story through its World War II collection and its three historic sites: HMS Belfast, IWM Duxford and Churchill War Rooms. In June 2019, Imperial War Museums (IWM) will mark the 75th anniversary of the D-Day landings through its World War II collection and its three historic sites: HMS Belfast, IWM Duxford and Churchill War Rooms. Working in partnership with Daks Over Normandy, a World War II mass flight display will lead IWM’s anniversary plans. Staged from IWM Duxford, this ambitious display will culminate in a cross-channel flight and parachute landing in Normandy on 6 June, recreating the remarkable World War II story. Ahead of the mass flight, IWM Duxford will host the greatest number of Douglas C-47 Skytrain aircraft in one location since World War II, descending on 4 and 5 June for Daks Over Duxford. Over the two days, visitors will be able to see more than 30 Dakotas – aircraft synonymous with the D-Day Landings – as well as mass parachute jumps and flight displays taking place across the museum. On 6 June 1944, the greatest seaborne invasion in history began with the mission to liberate Europe from Nazi occupation. Otherwise known as Operation Overlord, secrecy was vital to the success of this highly complex land, air and sea operation. By midnight on 6 June, 156,000 Allied troops had arrived in Normandy, despite challenging weather conditions and fierce German defences. 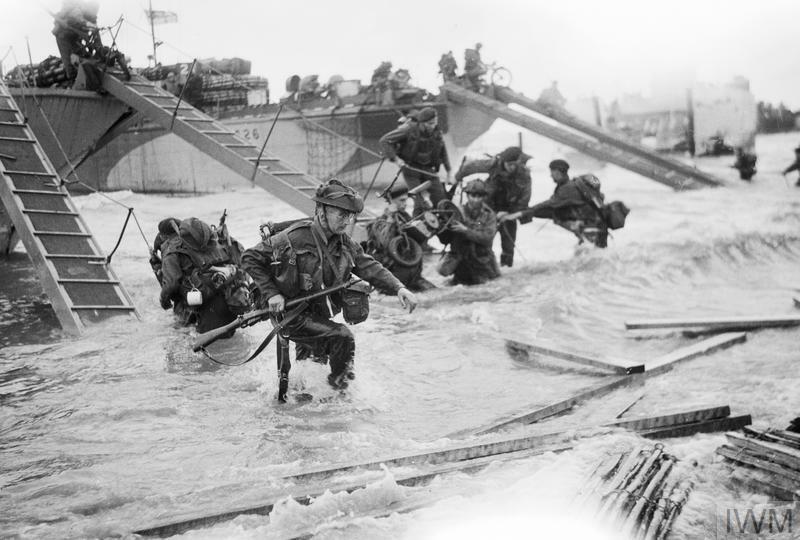 The subsequent Normandy campaign saw British and American troops fighting through France for almost two months before reaching Germany itself. D-Day was one of the most significant victories by the Western Allies during World War II. As part of its anniversary plans, IWM will highlight the roles that its historic sites and Churchill played in this pivotal moment in history and honour the men who sacrificed so much during this intrepid mission. HMS Belfast led the allied fleet, opening fire at 5.27am on 6 June 1944; American fighter aircraft flew from IWM Duxford in support of D-Day operations and Churchill War Rooms was the nerve centre of strategic decision-making during World War II. Additional D-Day themed programming will take place on HMS Belfast on Saturday 8 and Sunday 9 June. From interactive activities, where visitors will step into the shoes of the people who made D-Day happen, to bespoke D-Day group tours on board one of the largest warships present on D-Day. Further announcements of IWM’s full programme of D-Day related events, activities and publications will be released in due course.